“Clear the way for those rabbis!” That was the first, and probably last, time the Station Master at Washington, D.C.’s Union Station shouted those words. The crowd before him was unlike any that had ever been seen in the central train station of the nation’s capitol. The date was October 6, 1943, three days before Yom Kippur and more than four hundred rabbis had come to plead for U.S. government action to save Jews from Hitler. The march was the brainchild of 33 year-old Hillel Kook of Jerusalem, nephew of Abraham Isaac Kook, the first chief rabbi of British Mandatory Palestine. Kook, who used the pseudonym Peter Bergson, traveled to the United States in 1940 to lobby for U.S. support for Jewish immigration to Palestine and the creation of a Jewish state. After news of the Nazi genocide reached the United States in late 1942 and early 1943, Bergson established the Emergency Committee to Save the Jewish People of Europe, a political action committee that sought U.S. action to rescue Jewish refugees. Bergson understood the need for dramatic tactics to publicize his cause. To alert the American public about the Nazi massacres, the Bergson group sponsored a theatrical pageant called “We Will Never Die,” authored by Academy Award-winning screenwriter Ben Hecht, which was viewed by more than 40,000 people at Madison Square Garden and then in other cities around the country. The Bergson activists also sponsored more than two hundred newspaper advertisements urging the United States government to rescue the refugees. Bergson’s hard-hitting approach rattled some mainstream American Jewish leaders, who feared that loud protests might provoke antisemitism. Some Jewish leaders also feared that the Bergson group’s growing popularity might usurp their own positions of prominence in the Jewish community. Yet there were also pockets of sympathy for the Bergson group within the Jewish leadership. When the Bergsonites encountered difficulties arranging transportation for the rabbis, they approached veteran Hadassah leader Denise Tourover, of Washington, D.C., who provided logistical advice. The actual task of recruiting the rabbinical demonstrators was handled primarily by the Va’ad HaHatzala, a U.S. 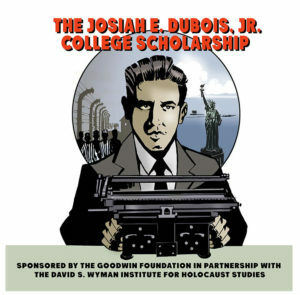 Orthodox group that provided financial aid to beleaguered Torah scholars in Europe and had also been involved in lobbying U.S. officials to assist Jewish refugees. The Va’ad’s leaders were European-born scholars who mostly spoke Yiddish, and shied away from involvement in affairs beyond the confines of their religious community. But the crisis of European Jewry under Hitler impelled them to undertake unusual initiatives in the public realm, of which marching in Washington was perhaps the most unusual. In fact, it was to be the only rally in Washington on the rescue issue during the entire period of the Holocaust. 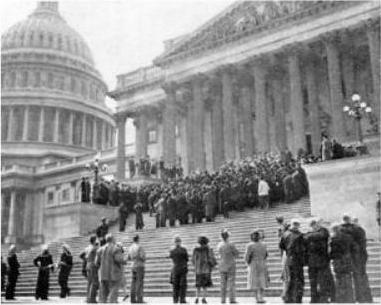 The ideas of Jews marching through streets of the nation’s capitol, promoting specifically Jewish requests such as rescue, especially during wartime, was anathema to mainstream Jewish leaders. Most of the rabbis were from the New York area, but others came from Philadelphia and Baltimore, and some from as far away as Chicago, Cleveland, Cincinnati, Pittsburgh, Columbus, Connecticut, and Worcester, Massachusetts. The rabbis who marched that day included some of the most prominent rabbinical figures in the American Jewish community, such as Eliezer Silver and Israel Rosenberg, co-presidents of the Union of Orthodox Rabbis; Solomon Friedman, president of the Union of Grand Rabbis; Bernard Dov Leventhal, known both as the chief rabbi of Philadelphia and one of the leaders of the Orthodox rabbinate nationwide; and Rabbi Moshe Feinstein, who would later come to be regarded as the leading authority in America on matters of Jewish religious law. The marchers also included an interesting array of hasidic rabbis side by side with rabbis known as mitnagdim, the traditional theological critics of hasidism. 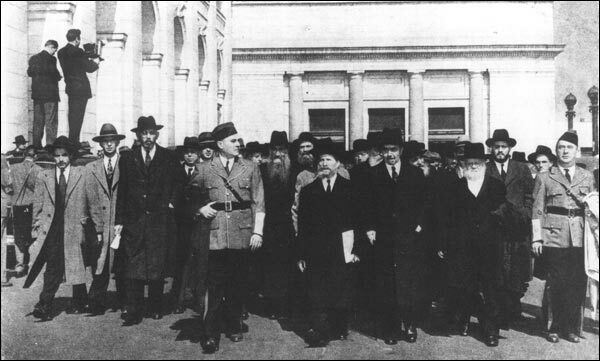 The rabbis, many wearing long black coats and black hats, marched solemnly from Union Station to the cluster of buildings known as the Capitol, accompanied by marshals provided by the Jewish War Veterans of America. They were met on the steps of the Capitol by Vice President Henry Wallace, who, Time magazine reported, “squirmed through a diplomatically minimum answer” to their plea. Wallace’s vague statement expressed “grief” at the plight of the Jews but made no reference to the possibility of rescuing any of them.